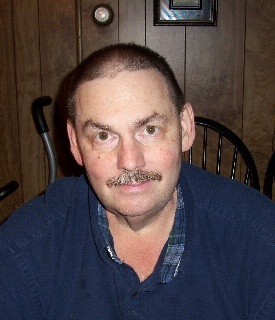 Kenneth R. Wetzel, 63, of Frackville, passed away July 27th at Hershey Medical Center, Hershey. Born in Shamokin, September 3, 1954, he was a son of Helen (Nolan) Long, Elysburg; and the late Robert Wetzel. He was graduate of Shamokin High School, class of 1972. He drove bus for STS for 23 years and previously worked for Child Development and King Coal Tours. Kenny was active with the Boy Scouts and was a Ham Radio Operator. He enjoyed taking his children out riding their four-wheelers, being outdoors, and spending time with his pet dog Bambino. He loved his family more than life itself, always putting them before his own needs, even when he was fighting for his own life, he worried about his family before himself. Kenny valued and cherished his family to the end. He enjoyed when they would stop in to visit, it was worth more than winning a million dollars. In addition to his father he was preceded in death by his step-father Darvin Long and by his loving companion Bambino. Surviving in addition to his mother; is the love of his life, his wife Donna Speidel Wetzel, Frackville, four sons; Robert; Eric and his wife Christine,; Philip and his wife Maria and Kenneth II; a daughter, Megan Wagner; step-daughters, Patty Kratzer and Janet Latshaw; grandchildren; Kianna, Erica, Sophia, Zach, Chloye, Morgan, Gavin, Matthew, Kenneth, Kimberly, Jonathan, Shane, Sheena and Maddison; a sister Mary Kay (Susie) Deroba and her husband Ron; brother-in-law John Speidel and his wife Kim; sister-in-law Darlene Speidel. Nieces; Ashley Speidel, Brittany Speidel and Michelle Seger; Nephews John Speidel, Trevor Speidel and Michael Shoffler. A Memorial Service will be held at 7:00 pm Thursday evening at the Albert L. Gricoski Funeral Home, Frackville, with Rev. Carl Shankwiller, officiating. Relatives and friends are invited to visit with family from 6 to 7 pm at the funeral home. Interment will be at the convenience of the family.